Four American presidents have been assassinated. 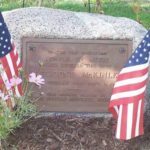 Today, with one exception, you can visit the scene of the crimes and find physical commemorations of the tragedies – in the form of a paint on a road, a theatre box, and an obscure historical marker. The site of one assassination, however, is not marked at all. X Marks the Spot: In the middle of Elm Street in Dallas, Texas a large white “X” has been painted on the roadway to mark the spot where President John F. Kennedy was assassinated. 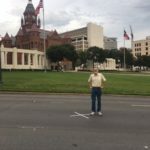 There are actually two “X” marks on the Dealey Plaza street showing the exact places JFK’s motorcade was when the bullets from Lee Harvey Oswald’s rifle hit the president on November 22, 1963. It is sobering to stand literally in the exact same spot where one of the pivotal tragedies of the 20th century occurred – where history was made and where the shape of our nation and world were changed forever in an instant. A Small Plaque: Less well known to most Americans is the assassination of our 25th president, William McKinley. The president was visiting the Pan-American Exposition in Buffalo, New York on September 6, 1901 when he was shot twice point blank in the abdomen. He died eight days later from infection. The building where McKinley was shot has long since disappeared from the landscape. In 1903 most of the buildings of the Exposition were demolished and subdivided into residential streets, homes, and parks. Today, there is a bronze plaque in the middle of Fordham Drive that notes the following: “In the Pan-American Temple of Music which covered this spot, President McKinley was fatally shot Sept. 6, 1901. 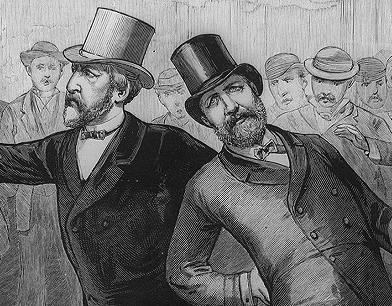 An Unmarked Site: James A. Garfield served as the nation’s 20th president for just four months before he was shot on July 2, 1881 as he entered the Baltimore and Potomac Railroad Terminal in Washington, DC – on his way to a vacation. He lingered for 80 painful days after the shooting during which doctors probed his wounds with unwashed hands and equipment, leading to infection that ultimately killed him. 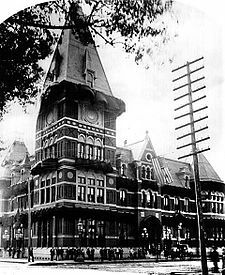 The railroad station where he was shot, at the corner of what is today Constitution Avenue and 6th Street NW, was demolished in 1908. In 1941 the National Gallery of Art opened on the site obscuring the location of the assassination. Thus, there is no marker at the site or nearby commemorating the shooting of this gifted president, who is often a forgotten president largely because of his short term of office. Click here for an excellent article on Garfield’s assassination. 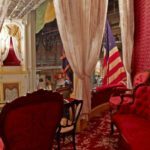 The James Garfield National Historic Site is launching a campaign in conjunction with historians, filmmakers, authors, and others now to place a marker where he was shot. Click here to read an article about this effort on the Smithsonian’s website.